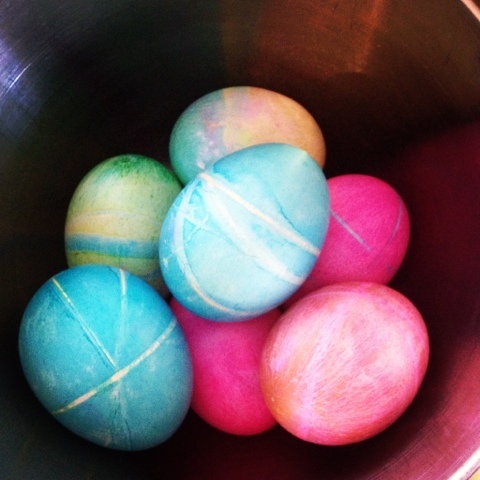 My little girl is loving this Easter season. 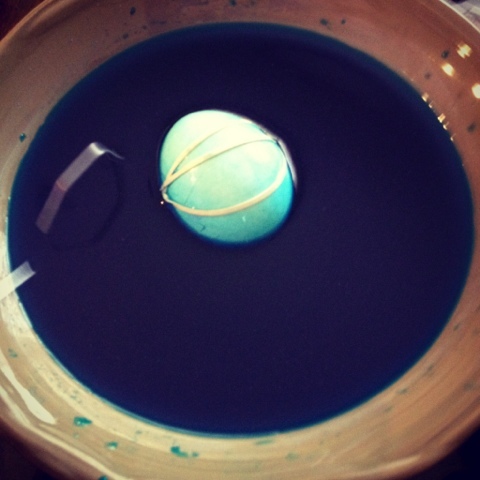 We like to dye our eggs, then wrap some rubber bands around them, and dye them again for a striped look. Oh my gosh! 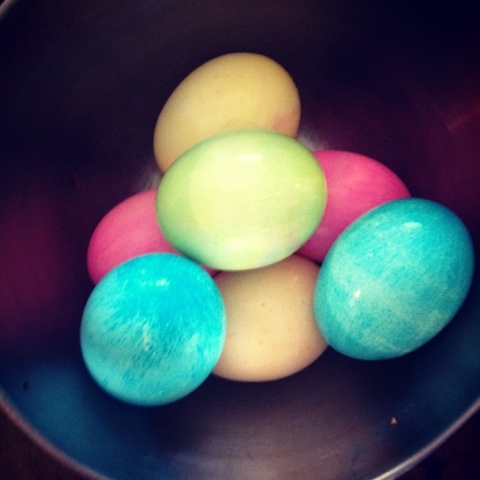 I know Easter is over, but I think I'll try them anyway!